These are the bath ticket prices at Szechenyi Spa Baths, Budapest valid from Jan 08 2019. Please note that prices may increase throughout the year. Bath tickets with lockers vs. bath tickets with cabins are both available. 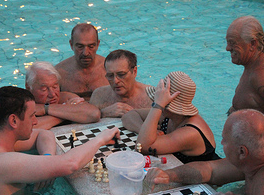 You can learn more about the Lockers and the Cabins at Szechenyi Baths here. Please note that the currency of Hungary is Hungarian Forint (shortened as HUF or Ft). In addition to the above prices, you can buy combined Szechenyi Baths tickets with massage packages. 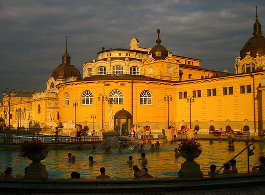 The prices of package deals of massage therapies, including the bath tickets at Szechenyi Baths. Online ticket prices include transaction fees. Please see more info about Szechenyi Bath massage treatments and prices on our massage page. Each massage package in Szechenyi Baths includes a full day bath ticket with a private cabin, and a private entrance at the Fast Track Help Desk. Please book your massage therapy minimum 1 or 2 days before your planned visit to Szechenyi Thermal Bath, possibly weeks before the date of visit. Please note that massage is only for bath guests in Szechenyi Baths owning a valid bath ticket. Please note that massages can be booked for 18+ years old guests only. Bath Ticket + Aroma Massage (20min) at Szechenyi Baths: 47 Euro. Bath Ticket + Thermal Massage (20min) at Szechenyi Baths: 48 Euro. Bath Ticket + Harmony Aroma Massage (45min) at Szechenyi Baths: 77 Euro. Bath Ticket + Harmony Aroma Massage for Couples (45min) at Szechenyi Baths: 146 Euro. Bath Ticket + Harmony Aroma Massage (60min) at Szechenyi Baths: 90 Euro. Bath Ticket + Harmony Aroma Massage for Couples (60min) at Szechenyi Baths: 167 Euro. 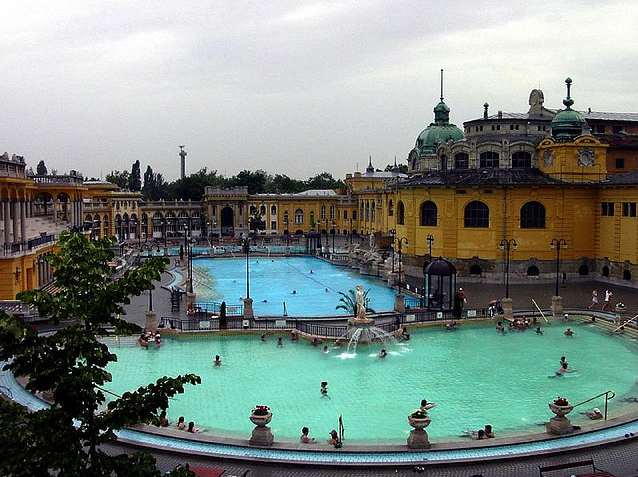 Bath Ticket + Royal Thermal Massage (45min) at Szechenyi Baths: 80 Euro. 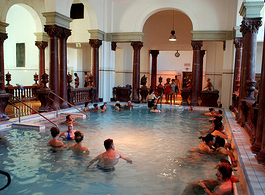 Bath Ticket + Royal Thermal Massage for Couples (45min) at Szechenyi Baths: 153 Euro. 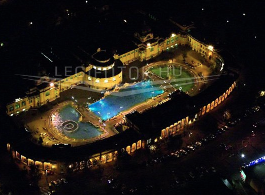 Bath Ticket + Royal Thermal Massage (60min) at Szechenyi Baths: 92 Euro. Bath Ticket + Royal Thermal Massage for Couples (60min) at Szechenyi Baths: 174 Euro. Please note that Szechenyi Baths pools are for children over 14, we recommend taking under 14 kids to one of the following Budapest lidos or pools: Palatinus Furdo (summer time open air lido on Margaret Island) or Dagaly Furdo (summer time open air lido on the Pest side, by Arpad Bridge) where thermal baths and children pools are simultaneously available. You can also check out the latest prices at the entrance on the ticket boards at Szechenyi Baths before purchasing your tickets. You can buy your baths tickets each day until 9 pm at the cashiers (1 hour before the closing time of the outdoor pools). There are various tickets, including discount bath tickets for early morning swimmers (from 6am to 8am), afternoon bath tickets (between 5pm and 7pm) and night bath tickets (outdoor pools only, between 7 pm and 9:45pm). 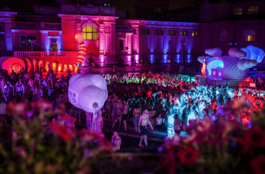 Discount bath party tickets are also available for party goers of groups of 10 or more people. 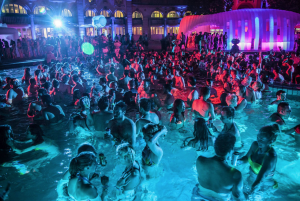 Note: The old system of bath ticket refunding is not in use any more in Szechenyi Baths. It does not matter how long you are using your tickets, for 1 or 2 or 6 hours, the length of use will not mean refunding the price based on hours. Hi 3 of us are visiting Budapest end of July. I’m trying to decide if we should pre purchase tickets or wait till we get to Budapest. How easy is it to come to the spa and purchase tickets for that day or another day. Will it be a long wait to get the tickets. Thanks. at this time of the year the Baths is usually very busy, therefore we would recommend to book your tickets in advance to have skip-the-line entry. But of course you can buy your tickets on the spot too, if you wish. Hello, me and my 2 friends are coming at August 15th. Shall we book the ticket now? please suggest what to do? we have contacted you via email. Can you store your luggage in the cabin rooms as we are coming straight from the airport? yes, it is possible to store your luggage in the cabins. Is it possible to book tickets for a group of 21 students and 2 teachers? yes, it is possible to book for a group in the booking form. Please kindly note that unfortunately there is no student ticket in Szechenyi Baths. Am I allowed to bring my baby as well? I can’t find it on the website.